This is the second half of the two-part podcast episode, during which I chatted with The Master himself: my dear friend and mentor, Gary Gray. Gary is an award-winning composer/songwriter/producer/engineer and author of the “The Home Studio Bible.” He is considered one of the top mentors in the entertainment industry and his list of clients include 20th Century Fox, The Disney Music Group, Hollywood Records, and of course yours truly! He was extremely fortunate to acquire mentors such as Phil Collins, Phil Ramone, Quincy Jones, Chick Corea and other legendary greats and takes great joy in passing the knowledge and wisdom he learned from these greats to those ready to listen. One of the reasons Gary is regarded so highly in the industry is that he approaches each person as a whole, and does not just “teach.” In fact, as you’ll discover during this episode, Gary will reveal why he considers it extremely damaging to “teach” an artist how to do their art. 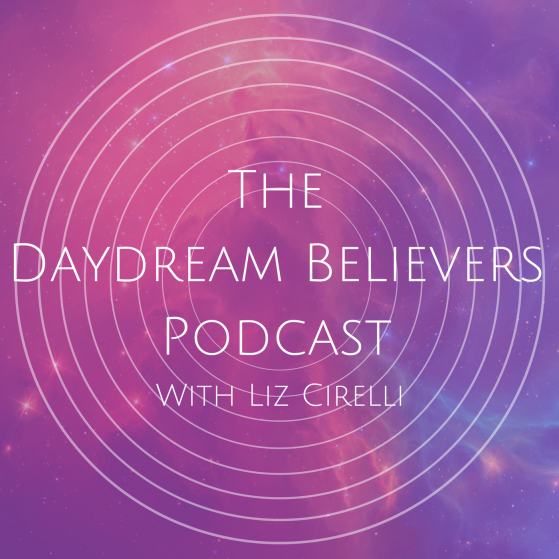 This half of the episode focuses mostly on answering the questions that were submitted by my patrons and the members of my online coaching community, Daydream Believers. We delve deeper into the one activity that, in Gary’s opinion, defines true success, and will absolutely lead to deep and meaningful happiness that no one can take away from you: HELPING. Helping other people, helping your family, helping the community. Being responsible first to yourself, yes, but for the purpose of helping others as a primary activity in your life. Gary believes that action is the best therapy, that productive successful accomplishment is the best meditation that exists, that watching someone else do better in life from your efforts is the best medicine ever invented, and that discipline and hard work are the best cure for the soul, the mind and the body. During this episode, you will hear Gary’s advice on how to deal with what he refers to the Myth-makers and Brainwashers that exist, albeit most of them unwittingly, in the entertainment industry. In particular, we focussed on whether or not you have to be a performing musician in order to be ‘successful’. We also touch on how to ask the right questions in order to get the results you are seeking – a stumbling block most of us don’t even realise is tripping us up. We discuss the ever-important topic of how to build truly solid relationships and we chatted in depth about what truth actually is. Gary also shared his insight on how you can take ownership of your past successes to create more success – and he shared his opinions on health and what it means to truly look after yourself. Do you feel the power of record labels has diminished with the focus on streaming media platforms like YouTube and Spotify? Does this ease of access for musicians improve the opportunity for success and what are the key skill sets needed for success within these new structures? Do musicians need to be performers to be successful? With YouTube being such a focus for music consumption how important is it to have good visual creative skills to engage with that audience? If writing for the TV and Film markets with the music library and music supervisor as a targeted audience is it still necessary to engage in social media campaigns and promote your self in the same way as a performing artist? How do you identify the best music library service for your music? Do they specialise in genres or industry focus? As a composer is it better to write in one genre as a speciality or be as versatile as possible? Provided quality is good. Have you advice on packaging music for Library submissions? How many tracks? How many file formats? Promotional images/cover art? Should it all be around a central theme? As you can see, the second half of this episode is packed with yet more gold! Huge love and gratitude to all the amazing people inside my Patreon community – it’s their generosity that enables me to continue making this podcast. 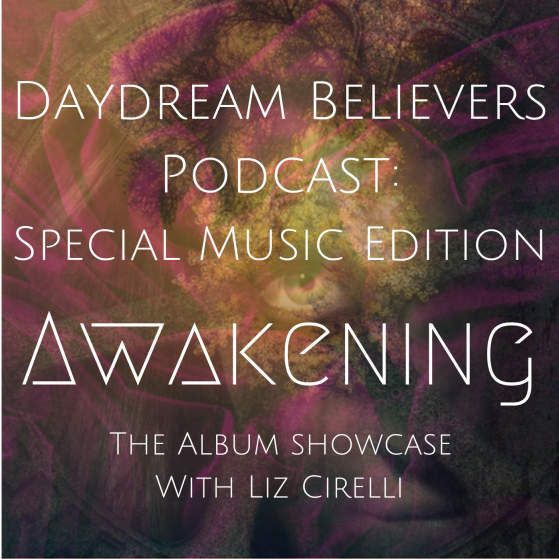 If you’d like to join us and connect with me on a deeper level, just head to https://www.patreon.com/lizcirelli where you can sign up quickly and easily. As a patron, you’ll get access to the full range of my coaching packages, and exclusive early access to all my musical output – and special behind-the-scenes treats too! For this month’s episode, I sat down with the awesome and inspirational Bree Noble. As well as being a music marketing and business coach extraordinaire, Bree is also a music artist and host of the award-winning podcast, Women Of Substance Radio. Bree and I covered the juicy topics of mindset and how to smash through overwhelm, fear and limiting beliefs. We also touched on her 5 stages of music career growth, relating the marketing element of these stages to a career in any creative field, not just music. We chatted through her inspirational life-story and some enormous leaps of faith that she took in order to transform her life. She is living proof that anything is possible when we are truly committed. We also touched on how vulnerability connects people and how, by far, the best way to sell your music, is to share your story with your audience. It’s all about connection! Expansion level: Bigger gigs, more ways to build fan base, get help! Professional level: time to do some big crowdfunding campaigns and look for a manager/label if that’s what you want. Xabiso: How does the business world in music compare to the business world in general (retail, investment, entrepreneurship)? Also when marketing an album for release, what are the most effective marketing strategies and implementation methods that you recommend? Ryan: How do you overcome inertia, even on the days where you really felt like doing nothing? And how do you tell the difference between being lazy and actually needing a day off due to burnout, exhaustion, a particularly painful event and things like that? Matthew: How can we overcome the fear of failure and channel negative energy to positive ends? Matthew: I’m very interested to know what the 5 stages of musical career growth are. I am not currently a performing artist, and I wonder if this is something I should be doing. Some insight into career growth targets would be useful! And one from me: In the ever-increasing rapidity of the world, it seems that, in order to be a successful creative, one needs to have multiple fingers on multiple pulses/platforms. But this often leads us to feel overwhelmed and start wheel-spinning. Do we really need to be everywhere, all the time – or is it better to focus on one or two platforms and build a really strong following on those? What are some strategies you recommend for effective multitasking? Asana is the productivity tool Bree mentioned. On this episode, we’re joined by Greg Wilnau, founder of Musician Monster: a website which exists to remind musicians of the truth that musicians have it within themselves to become prosperous. Together with his wife, Greg also runs Wilnau Design: a web design company whose focus is designing beautiful websites that will grow your business. I was really taken aback by his sheer awesomeness when we had our very first chat back in the early spring. He’s an exceptional human being with a powerful mindset, who intentionally wants to help people. We chatted about creative ways people can make money from their art, how to overcome obstacles to achieve the life of your dreams – and how to set up a website that reflects your life’s purpose. We also talked heavily about the importance of our mindset. 1. I’m working really hard at licensing my music. I feel like sending music off to publishers is a vague way to get this done. Are there ways to get to know producers and publishers in such a way that would mean they really take an interest? 2. How do you deal with a major setback that can cause you to question everything that you are doing in a negative way? I had a huge set back in college and am finding that I have become entirely demotivated in pursuing it and rededicating myself. 3. Personal branding is a subject I feel I need to embrace along with a supporting website but feel intimidated by as I don’t know how to present myself and also don’t feel confident to make decisions on visual things like fonts/graphics/logos. So any getting started tips for that would be greatly appreciated. Plus while I have various social media accounts for my WeAreWeTogether name I’m not sure if just using my actual name would not be better for a promo site for my writing. The book Greg recommended (and so do I!) is The Seven Habits Of Highly Effective People by Stephen R. Covey. These podcasts exist to provide you with the knowledge, inspiration and motivation needed to pursue your dreams. If you’d like to join the Daydream Believers online coaching community, have your say on what topics get covered during our podcasts – and have your questions answered by our expert guests, simply become a patron. You can sign up quickly and easily via the Patreon website here, or via their handy Patreon mobile app. You’ll also get access to the full range of my coaching packages and music production lessons. Plus you’ll get exclusive early access to all my musical output – and lots of lovely treats in between.